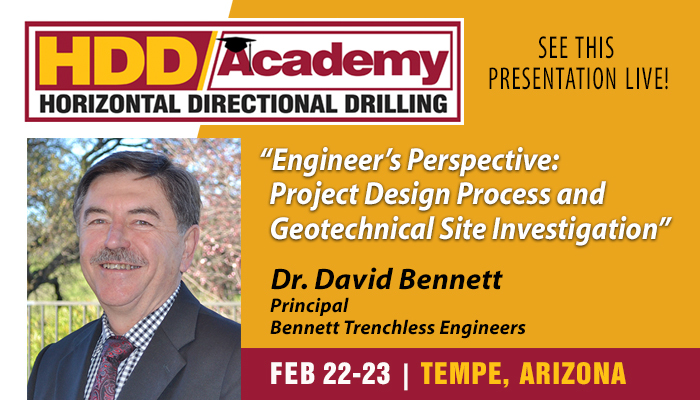 Dave Bennett presented NASTT’s Horizontal Directional Drilling Good Practices Course at the Pacific Northwest NASTT Chapter’s Annual Conference on January 16 in Portland, OR. Dr. Bennett presented the course with co-author Dr. Sam Ariaratnam to 26 attendees, including engineers, owners, and contractors. The course and conference were organized by Brendan O’Sullivan and the Pacific Northwest Chapter. Matthew Wallin will be presenting the HDD Good Practices Course for the NASTT-British Columbia Chapter on February 26 in Richmond, British Columbia. Mr. Wallin will be presenting with Dr. Jason Lueke. Registration information for the course can be found at the NASTT-BC website. 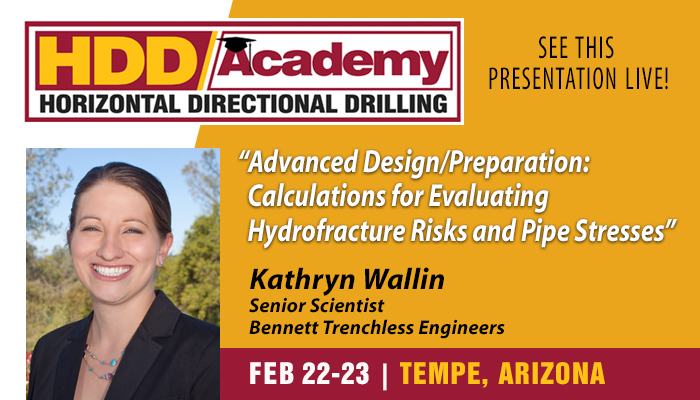 Tuesday, March 19 at 8:50 AM in Track 4: Sioux Falls, South Dakota I-229 Trenchless Crossing Obstacles Overcome through Teamwork and Perseverance: Or How Did We Miss That? We look forward to the opportunity to learn and collaborate with the best in the industry. We hope to see you there! At the 2018 No-Dig Conference in Palm Springs, CA, Kate Wallin and David Bennett were awarded the NASTT 2018 Paper of the Year – New Installations Award for their paper, “The Devil in the Details”. The paper discusses common pitfalls encountered on small HDD projects and how these hazards can be addressed and mitigated during design. Topics discussed in the paper include geotechnical investigations, bore geometry, work areas, performance requirements, and early feasibility analysis of the project and constraints. The paper emphasizes that identification and mitigation of potential problems during the design phase can limit the number and severity of unexpected problems during construction. We are pleased to announce that Bennett Trenchless Engineers’ employee Kate Wallin has been elected to the Board of Directors for the Western Chapter of the North American Society for Trenchless Technology (NASTT). The Western Chapter of NASTT is a multi-disciplinary society of individuals and organizations with professional, utilitarian, or environmental interests in Trenchless Technology. The Western Chapter of NASTT (WESTT) promotes the NASTT mission within our western region of Arizona, California, Hawaii, Nevada, and New Mexico. Bennett Trenchless will be attending the 12th Annual Western Regional No-Dig Conference, Exhibition, and Short Course from October 17th to 18th at the South Point Hotel in Las Vegas, NV. On Monday, October 17th, Mary Neher will be presenting a case study of a large diameter pipe ram installation of a storm culvert designed by Bennett Trenchless and constructed in 2015. The presentation will cover the project from design through construction. Matthew Wallin will also be attending the conference as a board member of WESTT and servicing as emcee for the event. 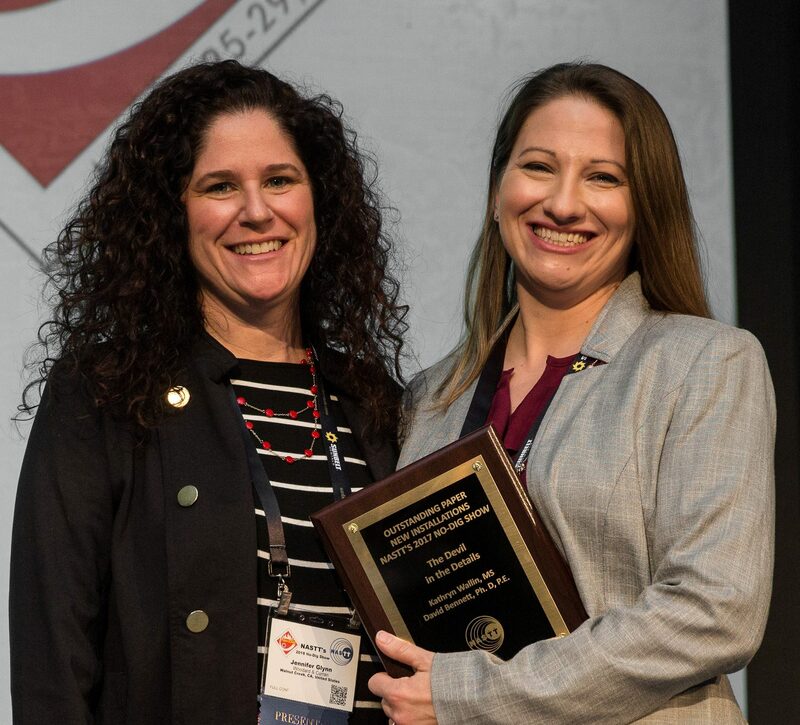 Bennett Trenchless is pleased to announce that Mary Neher has received the Trent Ralston Award for Young Trenchless Achievement. The annual award recognizes a young individual who has demonstrated excxellence in the early stages of his/her career and who has made a valuable contribution to the trenchless technology industry. Ms. Neher was chosen based on the strength of her numerous technical publications, her experience in trenchless design, and her participation as volunteer instructor for NASTT’s HDD Good Practices Course. 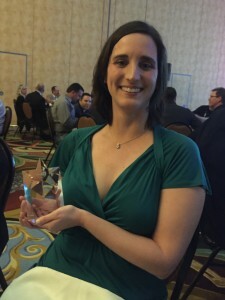 Ms. Neher received her award at the No Dig 2016 Conference in Grapevine, Texas at the Gala Awards Dinner on March 22. Congratulations, Mary! Ms. Wallin presented at the Northern California Pipe User’s Group (NorCal PUG) annual Sharing Technologies Seminar on February 18, 2016 at HS Lordship in Berkeley, CA. The presentation discussed a project Bennett Trenchless designed for HDD installation of twin siphons beneath the Tuolumne River in Modesto, CA. 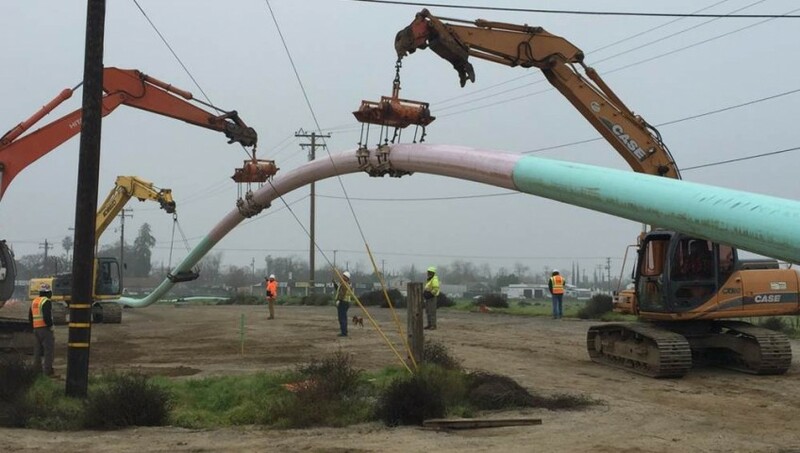 The twin 18-inch FPVCP siphons were each approximately 675-feet long and were constructed in the winter of 2014/2015 by Mozingo Inc. from Oakdale, CA and the HDD Company of Cameron Park, CA. 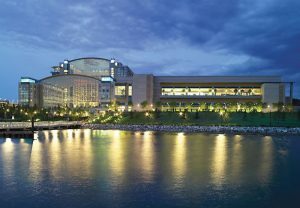 Bennett Trenchless is pleased to announce that we will be presenting three papers at NASTT’s annual No-Dig conference on March 20-24, 2016 in Fort Worth, Texas at the Gaylord Texan Convention Center. On the afternoon of March 21, we will present paper MA-T4-01 which discusses a challenging 108-inch pipe ram project on the Northern California Coast. Paper TM1-T2-02 will be presented the following morning which will describe an HDD installation of twin inverted siphons as part of the larger Trinity River Vision project for the City of Fort Worth. BTE will also present paper WM-T1-02 on the morning of March 23 which discusses the design and construction of 1,200-feet of 36-inch gas pipeline under a major Interstate using HDD. In addition to the technical papers being presented during the conference, BTE staff will also be serve as volunteer instructors on NASTT training courses before and after the conference. On the morning of Su nday, March 20, BTE staff will serve as instructors for NASTT’s Trenchless Technology Short Course – New Construction. After the conference concludes on Wednesday, March 23 and Thursday March 24, BTE staff will serve as instructors for both NASTT’s HDD Good Practices Guidelines Course, and NASTT’s Pipe Bursting Good Practices Course.